L.N.W.R Alterations to Mr Park's House. 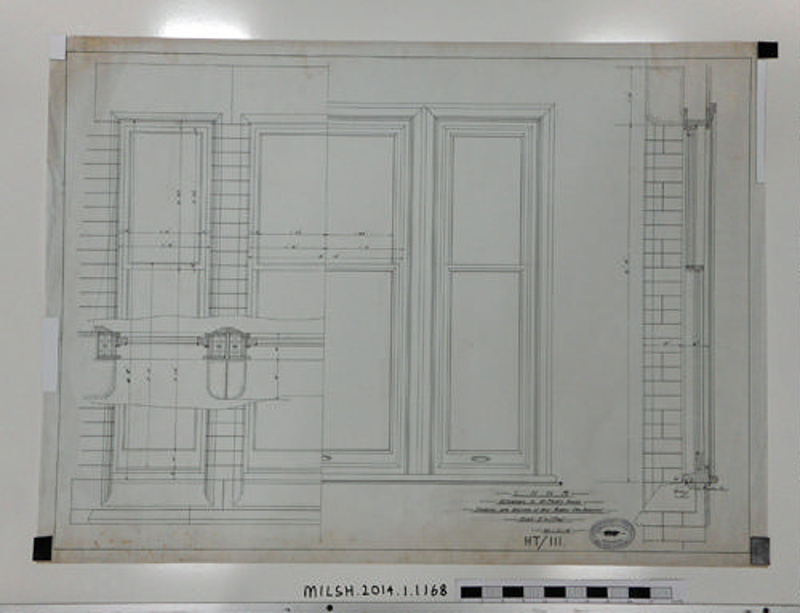 Elevations and Sections of West Window (New Bedroom). L.N.W.R Alterations to Mr Park's House. 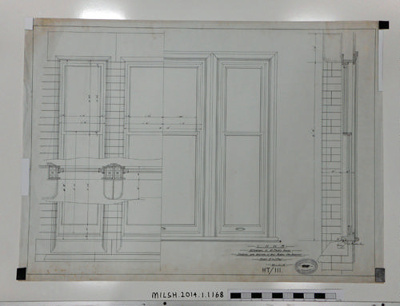 Elevations and Sections of West Window (New Bedroom). Pen and ink drawing of plan, side and cross section.